Today I have the new Lucy with Chickens from the September release available now at the ATS store. She's super cute with her little chickies! Followed a fun sketch from Card Positioning Systems. Made a double fence with black and kraft paper, drew in some wood grain that didn't turn out too good. So where can I get a woodgrain stamp? LOL! That's on my shopping list for sure! Take a moment to hop over to the ATS Challenge blog where there's plenty more to see from the team! The challenge will run for two weeks. Please follow the simple rules so your entry won't be deleted. Hope you get a change to play along!! Aw super cute Mimi!! 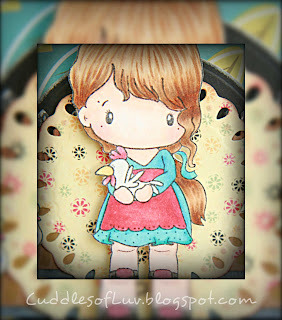 I love the chickies and all the pretty papers. love the color theme i might just play along. 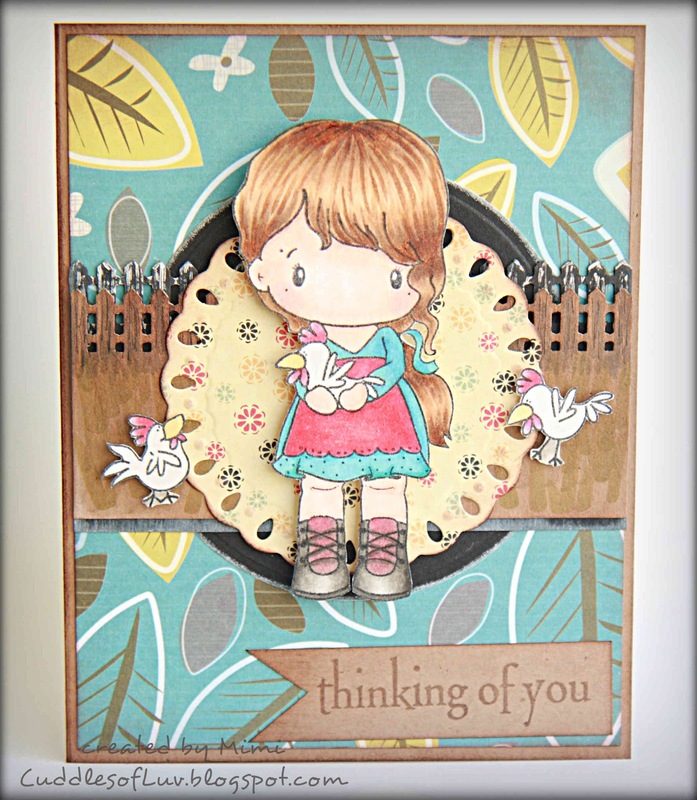 What a cute and totally adorable card that image is so pretty love the papers and the punched fence, thank you for joining our challenge this week at The Paper Shelter. Super cute!! Love the sweet new image and your great take on this weeks challenge!! Super cute! 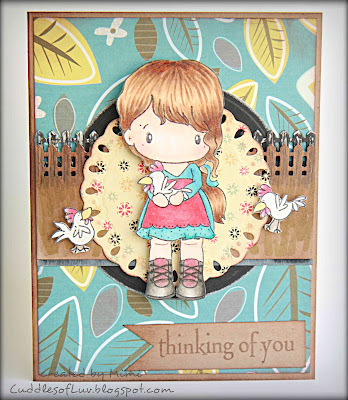 Love the soft colors and the chickies! Thanks for joining us at The Paper Shelter challenges this week. Really cute - love your coloring!